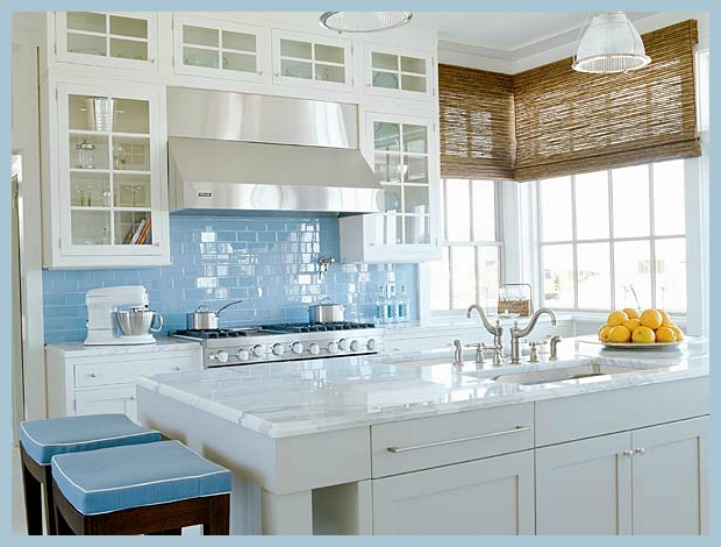 Here are 10 tips to get you on your way to a great coastal kitchen decor. 1. Color palate. 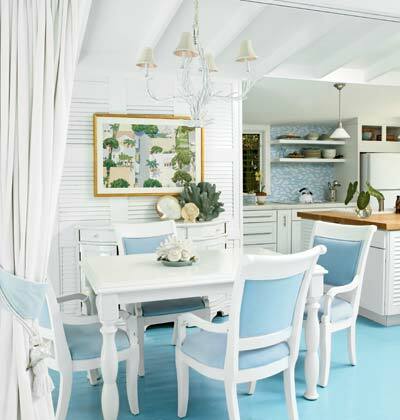 Choose a color palate that is light and inviting with hues of the ocean. This will give your kitchen a cohesive coastal vibe. 10 coastal tips for your kitchen decor. 2. Coastal accessories. Carefully place coastal accessories around your kitchen. 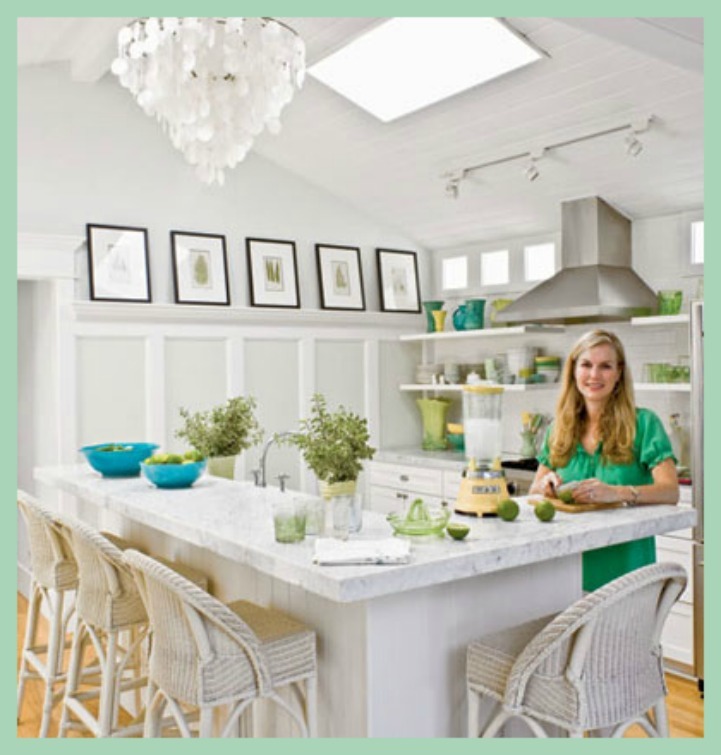 On open shelves or counter tops coastal touches will add interest to your kitchen. 3. Seating. The kitchen is the heart of the home and will be the gathering spot, seating is key. Selecting great coastal seating like these open back barstools will give your kitchen a chic coastal look. 4. Hardware. 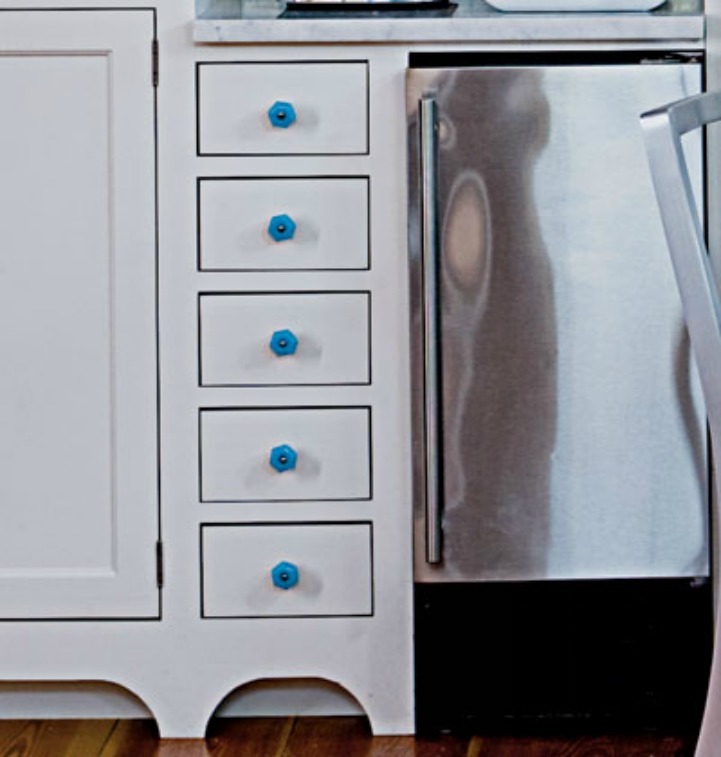 An easy coastal touch can be added with colorful hardware on your cabinets. 5. Coastal lighting. 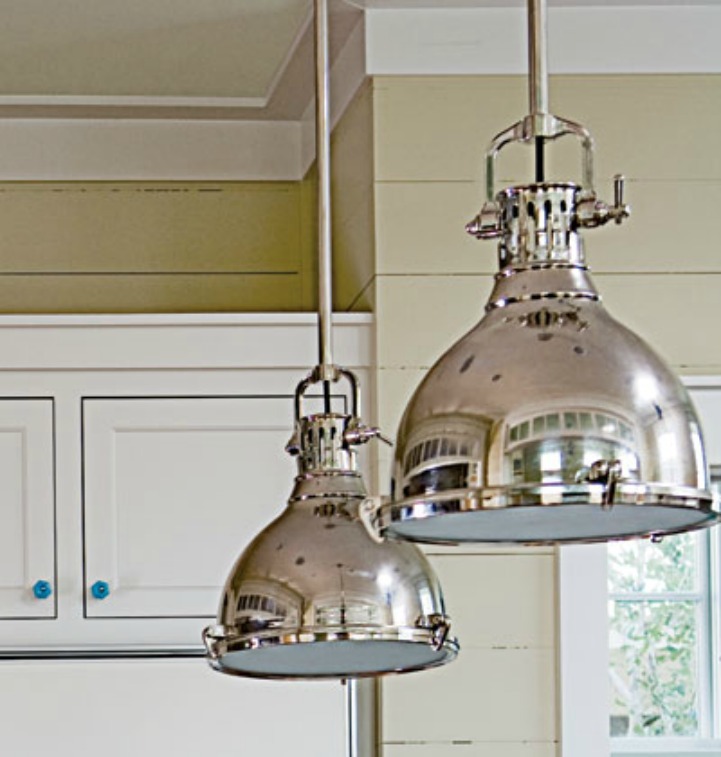 Authentic ship lights hung over your kitchen bar will give your kitchen a great coastal design. 6. Back splash. 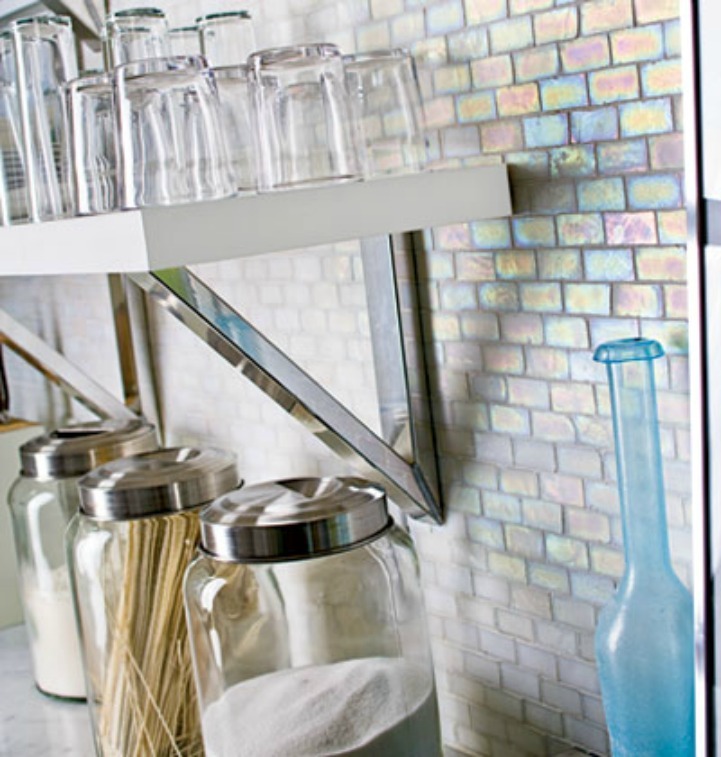 A shell inspired tile for your back splash has iridescence and style which is perfect for a coastal kitchen. 7. Painted island. 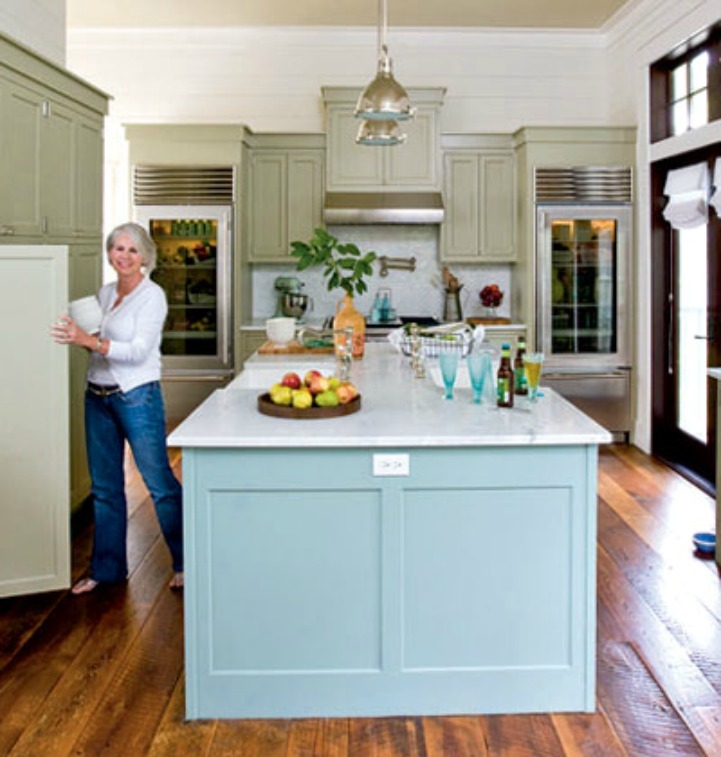 A beach inspired color painted on your kitchen island will add a big pop of color to your design. 8. Open shelving. Adding some open shelving will give your kitchen a coastal cottage feel. 9. Coastal Artwork. Hanging art in your kitchen removes a little of the industrial feel while adding a coastal touch. 10. Painted floors. Bright aqua painted floors give this kitchen a kick of coastal style.